This entry was posted in Food and tagged cookie dough, healthy, healthy cooking, healthy eating, kyle, protein, quest nutrition, recipe box, snacks. Bookmark the permalink. Been wanting to try one of these recipes forever. Now, I think I will have to! 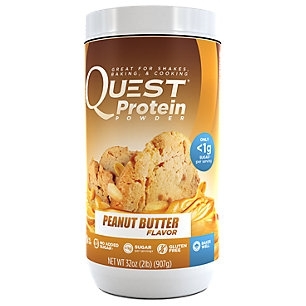 And…I love, love love Quest protein! In all forms! Great stuff! Go try it! I just made another batch last night. And did all the math on it, too – works out to about 178 calories per serving (which is about 83oz), 6.3g fat, 17.8g carbs and 13g protein. MONEY! Haters gone hate. 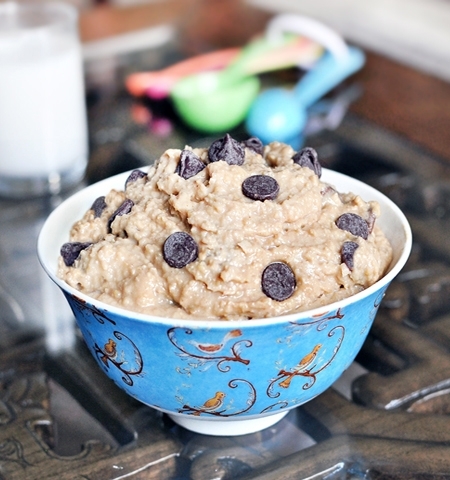 Chickpeas are delicious when masquerading as cooooookie dough.